RMP Acoustic Consultants staff were key authors of the new publication which was funded by the Scottish Executive, Scottish Building Standards Agency, Communities Scotland and Historic Scotland. 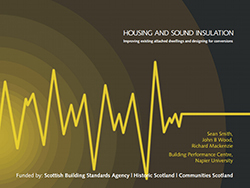 ‘Housing and Sound Insulation: Improving existing attached dwellings and designing for conversions’ is an essential tool for housing managers, building control and architects in designing to improve the levels of sound insulation in existing housing. 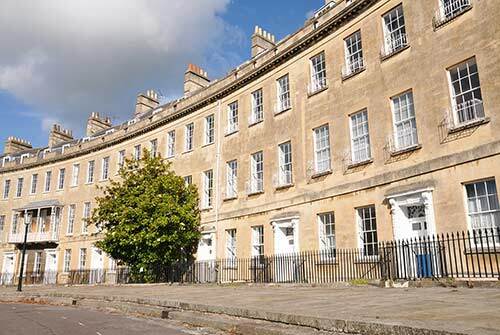 A key section on conversions provides invaluable advice on how to approach sound insulation and the use of “pre-conversion sound testing” assisting in sustainability and achieving sound insulation target levels. In addition to the eight key chapters, there are 11 case studies of pre and post works involving sound insulation improvements. The book is published by Arcamedia and is 120 pages. The inclusion of OER (Occupant Equivalent Ratings) show direct comparisons between the level of measured sound insulation and the rating by dwelling occupants.